When you need service for your vehicle down the road, you’re always welcome back to the Mercedes-Benz of Flagstaff service department. Simply schedule service online for everything from routine maintenance to major repairs – and we always use genuine Mercedes-Benz parts and accessories. Service doesn’t stop when your car leaves our service center, though. Mercedes-Benz Roadside Assistance is here for you 24 hours a day, 7 days a week. Download the convenient Mercedes-Benz Roadside Assistance Mobile App to quickly and conveniently reach out for help, whether you have a flat tire, need a jump start, or ran out of fuel. 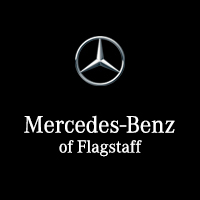 You can trust Mercedes-Benz of Flagstaff for all of your automotive needs. To tour our showroom or test drive a vehicle, visit us at 5171 Test Drive, Flagstaff, AZ. Contact us to learn more about the vehicles and service we offer. We look forward to having the opportunity to earn your business.